There is nothing more relaxing in life than spending the day at a beautiful beach, surrounded by friends and great food. 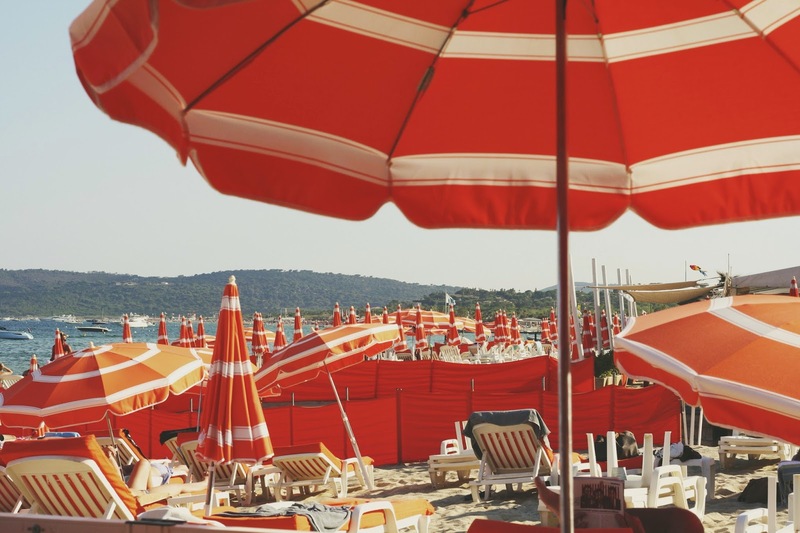 I had the chance to enjoy this perfect kinda day while in Saint Tropez where where I shoot this images. I must say that one of the things I loved the most about this place was the contrast between the umbrellas with the color of the ocean. 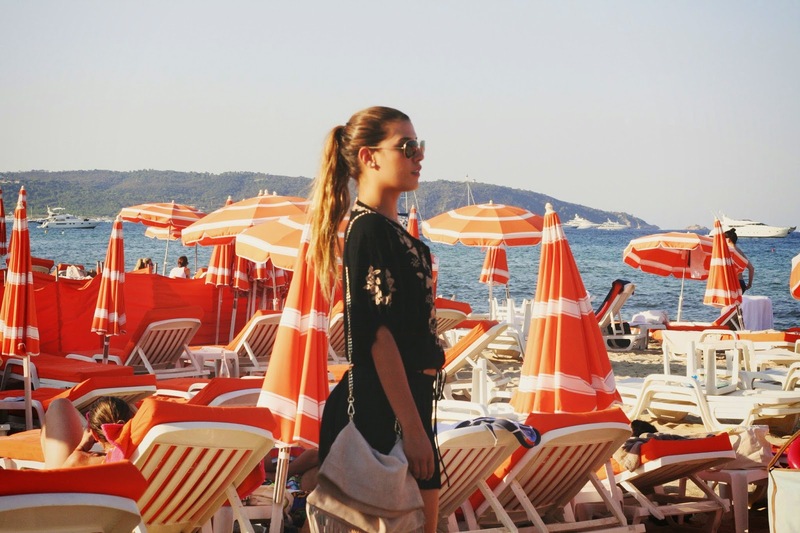 I'm wearing H&M shorts and bag, shirt from a small boutique in Ibiza and Ray Ban sunglasses. 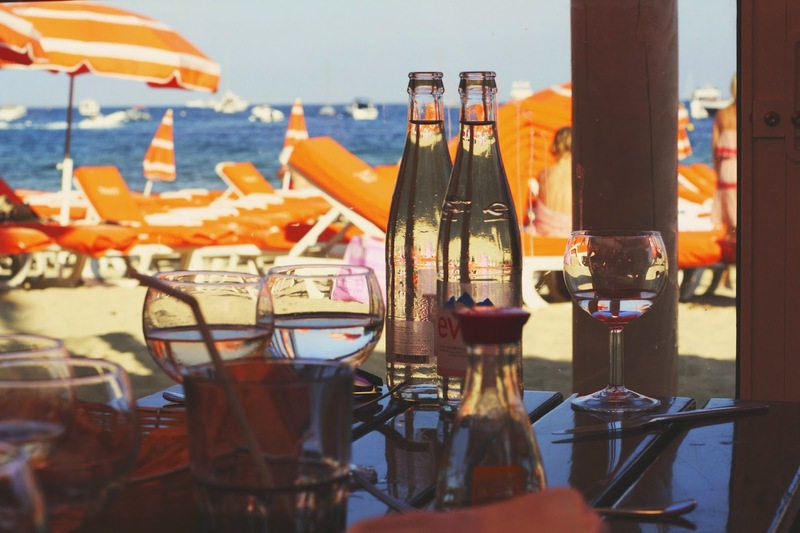 No hay nada mas relajante que pasar un día en la playa junto a buenos amigos y algo rico de comer : ) En esta ocasión tuve la oportunidad de disfrutar uno de estos maravillosos días en una pequeña playa en Saint Tropez. Así que quise aprovechar para tomar estas fotos ahí ya que me encantó el contraste de los colores entre las sombrillas y el mar. Llevo shorts y bolsa de H&, blusa bordada de una boutique de Ibiza y lentes Ray Ban.